This is the second installment of our monthly classic actress beauty tips that I have read about AND tested. 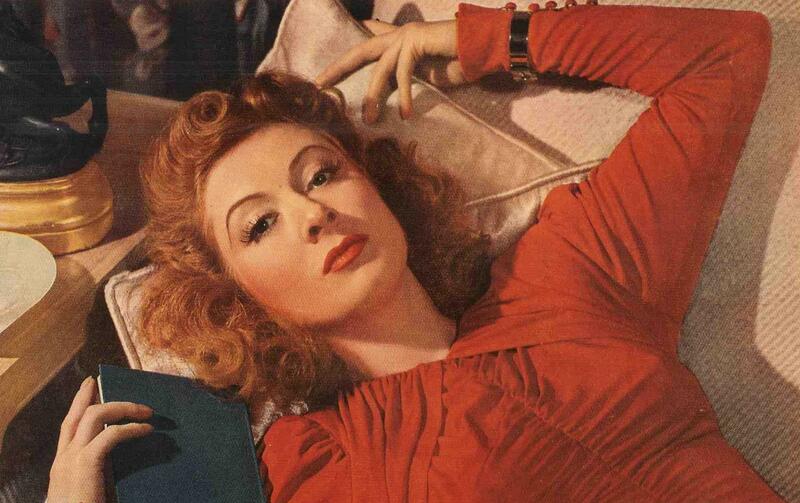 Actress Greer Garson, star of “Mrs Miniver” is known for her vibrant red hair; Robert Mitchum even referred to her as “Big Red.” According to Divas: the Site, after Miss Garson shampooed, she would rinse her hair with a cup of California champagne, brush her hair100 times and tie it in a net for the rest of the evening. After further research, I found that rinsing hair with champagne is a way to make your hair soft, shiny and brighten natural highlights for flaxen haired individuals. I read about Miss Garson’s hair treatment last summer and have been intrigued to try it. This blog has finally given me a reason to do so. 1.) Go out and buy champagne. 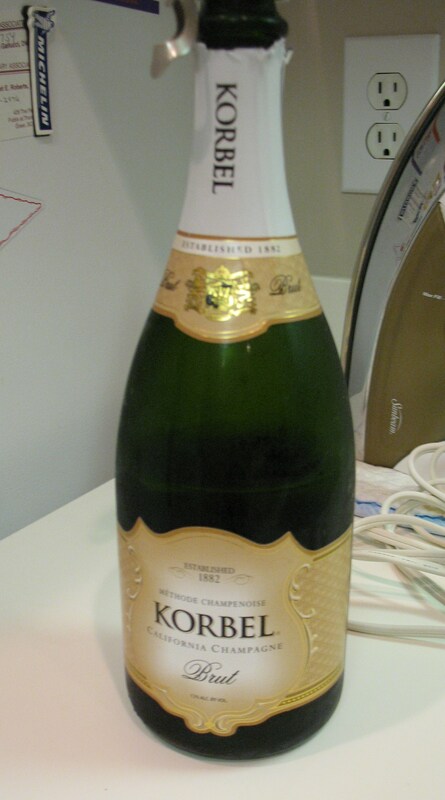 I didn’t want to be too cheap, but not too expensive either so I bought a $15 bottle of Korbel at BI-LO. 2.) Most directions say to measure out a half cup of champagne and half cup of hot water. I did a straight cup of champagne since it sounded like Miss Garson did not dilute her alcohol. 3.) Shampoo and condition your hair. 4.) Now for the fun part: After shampooing and rinsing, pour the champagne into your hair. I made sure to pour it on top of my hair and underneath. During this part, I realized why several reviews suggested mixing the champagne with hot water. The champagne was COLD after being in the refrigerator. It was a rather odd sensation as it bubbled in my ears and nose and dripped from my hair. 5.) DO NOT RINSE OUT THE CHAMPAGNE. 6.) Brush and towel dry your hair to get rid of any excess champagne. No, I did not brush my hair 100 times like Miss Garson. 7.) Nor did I tie my hair in a scarf for the night. Blow dry your hair. To review: My hair looked shinier and felt softer, but I didn’t see a major difference. I was surprised that my hair didn’t feel stiff or sticky from the process. However, the smell of my hair gave me a craving for cheese and crackers. Since I tested this at night, the champagne will be washed out in my morning shower. I think I will retest the rinse one morning so I can see how it feels to have champagne in your hair all day. Hopefully people wouldn’t smell it and think I’m an alcoholic, haha. I’m not sure if I will ever see those “champagne highlights” websites discussed, but it is a fun routine. Other than silly, I did feel sort of glamorous during the process. Check back August 1 for the next beauty tip and an update on champagne hair rinsing!